“I don’t even feel I live in a democracy anymore,” said Caracas resident Romel Clavel, 19, who like many Venezuelans has opted not to vote. CARACAS, Venezuela — On Sunday, as President Nicolás Maduro seeks reelection, Romel Clavel will experience his first presidential race as an adult. And although he has always dreamed of casting a ballot now that he has reached the legal voting age, he says he will abstain. “I don’t even feel I live in a democracy anymore,” said the 19-year-old college student who, like many Venezuelans, believes the election will be fraudulent. If someone arrives to this oil-rich South American nation today, it would be difficult to imagine that a presidential election is around the corner. Unlike years past, there are few campaign signs or billboards on the streets. 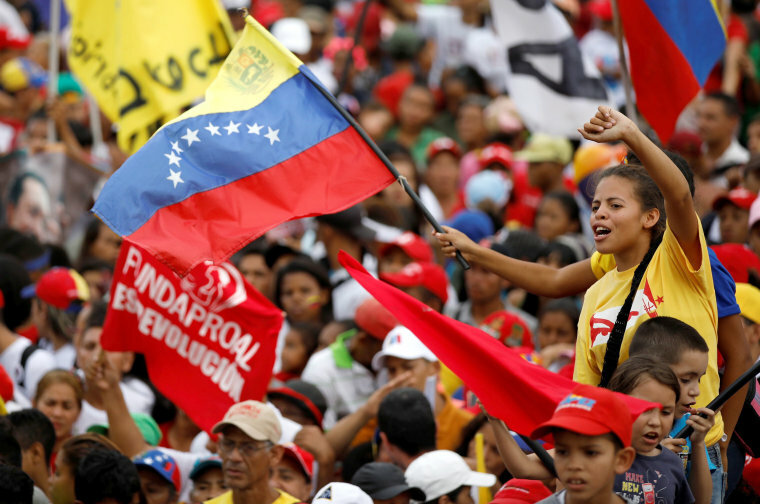 There are no political debates, nor a flurry of activity and passionate conversations that characterized, until now, a presidential campaign in Venezuela. Instead, what stands out in the street is apathy towards the elections and the collective struggle for survival. Finding food, medicine, and even water are among Venezuelans’ mounting problems amid a grim and spiraling economic crisis and a nearly collapsed state. Polls vary, but most indicate that turnout could be the lowest since the 2000 presidential election where the late Hugo Chávez was reelected under a controversial newly adopted constitution that allows six-year terms. At that point in history, society was disappointed with the institutions and the lack of confidence in politicians was quite high, according to Félix Seijas, director of the polling firm Delphos. “The same is happening nowadays,” he said. Despite the lack of enthusiasm and large opposition, Maduro still has support among some sectors of society. Richard Chacón, 42, and Luis Aponte, 48, discussed the recent increase in food prices as they waited in line to buy two packs of rice. Both of them, despite struggling to make ends meet in a country with the highest inflation in the world, will support president Maduro on Sunday. But most of the country appears marked by indifference and Maduro, the handpicked successor of Chávez, is widely expected to win re-election despite the country’s crushing economic crisis. Most of the opposition has decided not to participate in Sunday’s election and has called for a boycott. Their leaders have been barred from running, while others are being held in prisons or exiled. Much of the opposition claims the vote will be neither free nor fair and do not trust the electoral council, which is controlled by government loyalists. But Maduro, 55, will still share the ballot sheet with two other candidates. Many opposition supporters believe they are part of a government election scam. Maduro’s main challenger, Henri Falcón, is an ex-governor and former military man who supported the socialist government until he split from them in 2010. He describes his policies as center-left and has campaigned on making the U.S. dollar the country's currency. He's expected to gain between 30 and 40 percent of the vote. Polls vary, but most of them show Falcón and Maduro in an even match. Javier Bertucci, an evangelical pastor, is known to serve free soup at his rallies in a country where skipping meals has become common. Several polls indicate Bertucci, who is not well known and whose main proposal is the opening of a humanitarian corridor, is likely to get between 15 to 20 percent of the expected votes. 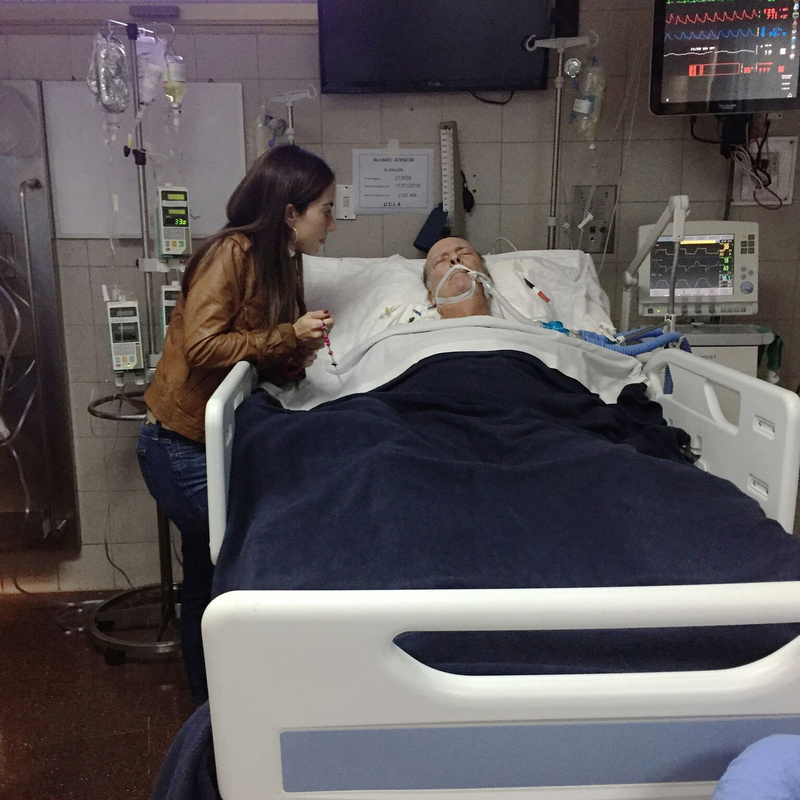 Caracas resident Leobaldo Matos, 82, idolized Chávez and never imagined abandoning the ranks of his Bolivarian Revolution. But this Sunday he will back Falcón. “I opened my eyes, Maduro isn’t Chávez,” he said. At his home, not everyone feels the same. His daughter Margret, 42, a dentist with one young daughter, said she has always voted for the opposition. This time she will not go to the polls. Since 1998, when Chávez swept to power, Venezuela’s socialist party has won almost every election - most of them because of the late leader’s charisma and oil revenues that helped fund socialist programs. In more than one occasion the opposition alleged electoral fraud, but did not manage to show evidence of it. But by 2014, oil prices dropped and Venezuela had little savings to fall back on. Corruption and mismanagement along with the lack of oil revenues caused an economic and political crisis that has steadily intensified. Crime has skyrocketed and the health care system has nearly collapsed. Diseases, such as malaria and measles, once thought to have been eradicated are surging again. Nearly 1 million people have fled Venezuela between 2015 and 2017, according to the United Nations. Opponents blame the socialist system and Maduro’s administration for the economic meltdown, which has undermined his popularity and fueled a political crisis. Maduro insists Venezuela is a democratic country. He admits it has economic problems but blames external forces and domestic enemies. He plans to unveil plans after his re-election for rescuing Venezuela from its crisis. Dany Bahar, a fellow at the Brookings Institution, thinks it was easier for Maduro to rig elections two years ago than it is for him to do it now. “The people around him are not as supportive as they were because everyone is suffering from this crisis” he said. Joel González, 42, said he was a Chavista, or Chávez supporter, and therefore voted for Maduro in the last presidential elections. This will be the first election cycle since he reached the legal voting age that he won’t cast a ballot. González works as a security guard. His monthly wage is the equivalent to about $2. Most of the time, food is out of reach for him and his entire family. Skipping at least one meal per day has become part of his routine. Mariana Zúñiga reported from Caracas; addition reporting from Carmen Sesin in Miami.